Actuators are a critical part of the control valve. 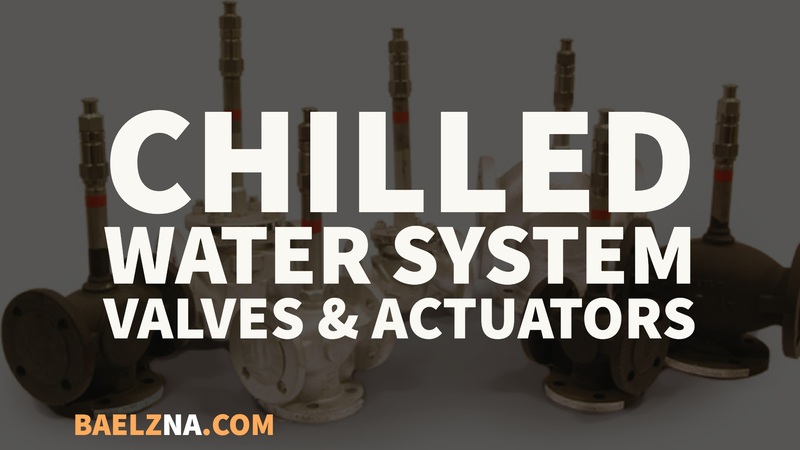 The chilled water actuator valve, in a chilled water system environment, initiates a physical change in the system by moving a modulating element such as a ball or a butterfly. Actuators are available in various types; the specific type used will depend on the method used to create the control action. Pneumatic actuators — the most commonly used models — employ air signals from the controller to initiate mechanical movement of the modulating element. Similarly, a spring return actuator utilizes spring force. Such actuators are unidirectional due to the spring motion employed. Double-acting actuators, meanwhile, employ pistons and can also move in both directions. Finally, hydraulic actuators employ an incompressible fluid, such as water, instead of air to achieve mechanical movement. Valves can also be differentiated based on the number of openings they have. 2-way valves and 3-way valves in chilled water systems are two of the most common types utilized in this environment. A 2-way valve is a straightforward device with two openings, one for inlet and the other for outlet. These chilled water control valves simply regulate the flow of the fluid through them by varying the size of the valve opening, and can work as on/off devices. A 3-way valve, as the name implies, has three openings. When functioning as a two-inlet, single-outlet system, these valves can be used for mixing fluids. When working as a single-inlet, two-outlet system, they can be used as diverting chilled water valves, which divert part of the flow in another direction. At times, a three-way valve may be used as a two-way valve within certain industrial systems. In simple terms, this involves closing one of the three openings on the valves; the bypass line is blocked so that the fluid entering through one side has no option but to exit through the other. However, once this is done, it is necessary to recalibrate the actuator, which is calibrated such that it shows its maximum value when the valve is in its fully open position. Both 3-way and 2-way valves can serve many purposes. They are both employed in chilled water systems as previously mentioned. The decision over whether to use a 2-way or 3-way valve is made at the design stage, based on application-specific design and cost considerations. For example, employing a 2-way valve at the outlet of the chiller provides the ability to modulate the supply to the cooling load, depending on the load requirement. This can lead to cost savings, as the load on the secondary pump will be reduced. However, two sets of pumps are necessary here for a constant flow supply to the chiller and a variable flow supply to the cooling load. Alternatively, a variable flow chiller can also be employed. A 3-way valve is best suited to applications requiring a constant flow rate. These valves are also ideal when fluid mixing is needed within the process flow. Control valves, specifically chilled water control valves are crucial elements in fluid pipelines, allowing users to regulate critical process quantities such as fluid pressure, temperature, and fluid levels. The choice between a 2-way valve and a 3-way valve is ultimately a design decision based on cost considerations, operating conditions, the specific operating fluid, and the piping system. Supplying energy-saving engineered systems and components designed to control and regulate heat transfer media, Baelz North America (NA) — the official distributor of Baelz Automatic components — offers a wide range of affordable, high-quality controllers, actuators, and control valves. To learn more about their products, or request a three-way vs. two-way valve consultation, visit their site today.